Joyce Valenza’s recent post on NeverEnding Search, A Belated Confession, really resonated with me and I appreciate the courage it took to share her thoughts. She wrote about her challenges balancing her work and the ensuing guilt at not being able to do everything she wanted. “I don’t think we can really rock every aspect of our jobs at once, however much we aspire to do it. And if you don’t realize this, it can drive you kinda crazy. As a person with many passions, serving as both a high school and district librarian, and coping with staff reductions, I often have experienced these feelings myself. Too often, despite outward appearances, I don’t let myself off the hook and understand that being good at some things does mean juggling others, and that it’s difficult to keep all the balls in the air that I would like to. Joyce’s post captured that feeling so well. I feel passionately about many areas of my work–supporting student voice, space design, technology’s impact on libraries, advocacy, supporting teacher professional development, teaching research strategies, strategizing about the future work, school change’s impact, writing and sharing about my profession, and more. I recall as a young librarian in a very well staffed library that my entire job was around student programming, fiction purchasing, and teacher collaboration, with a little work on technology on the side. My job has grown exponentially and now we have far more students and I have much less staff and the landscape of our school is growing and shifting. The fact that I know what effectiveness looks like also impacts not letting myself off the hook, as Joyce noted. Joyce also writes about the hindrance of comparisons. And of course all of this relates to the imposter syndrome that Amy Cuddy speaks and writes about. 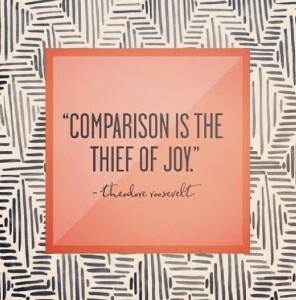 One of my favorite quotes (which I do not heed often enough) is “Comparison is the thief of joy.” (attributed to Theodore Roosevelt). Thinking about what we aren’t doing is a distraction from our real work, of course. If we can use the knowledge of what our colleagues do as learning opportunities rather than opportunities for self-criticism, then that allows us to grow. 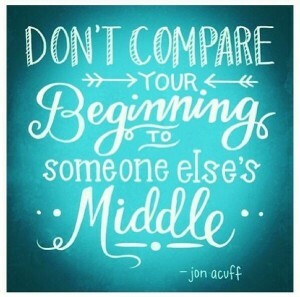 Joyce pointed to the importance of goals in helping steer the ship, so to speak, and I’m thankful for Andy Plemmons‘ example last year sharing his goals on his blog. Diana Rendina’s recent Manifesto for her work is another great example of verbalizing goals. Andy’s post helped guide my work this year, and reminded me that many things I do fall under a larger umbrella. After reading his post and work in our district on essential questions, our librarians established three essential questions at the beginning of the year, and they have helped me focus on my work differently. Having these questions has helped, because when I feel that my hands are in so many pies, I can step back and see that they all fall under my goals. It helps me “let myself off the hook” for fragmentation because I can see that all the work I do fits within my goals. Joyce’s message is powerful–we have to allow ourselves to focus. And we have to know that doing that means giving up other things. 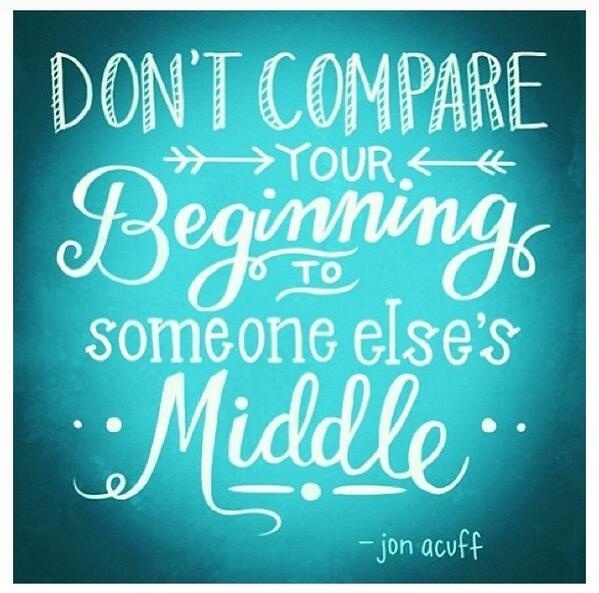 And only when we use comparison as a growth opportunity, not an opportunity to knock ourselves, can we shine at what we do best and learn from our colleagues. Carolyn, I was about to write that you expressed the feeling and issues so much more eloquently and thoughtfully than I could, and then I looked up to rediscover that that was exactly the problem. I need to stop allowing the theft. Thank you for your kind words and thank you for your brilliance, friend. 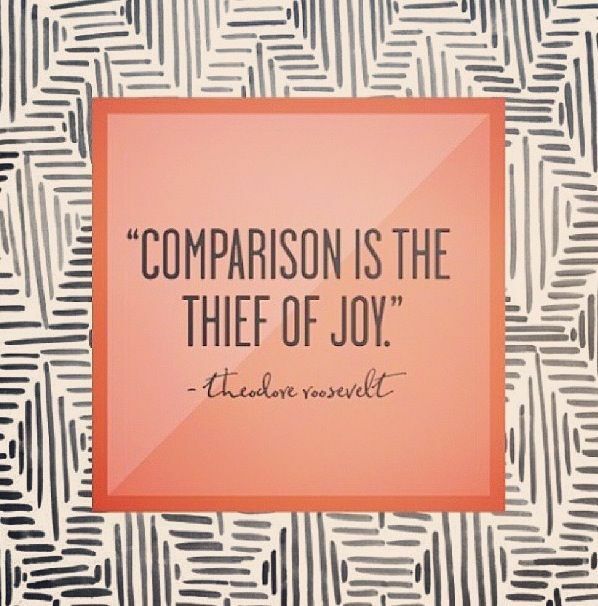 “And only when we use comparison as a growth opportunity, not an opportunity to knock ourselves, can we shine at what we do best and learn from our colleagues.” I’ve learned this lesson in some realms of life, but still struggle with it in my work world. Thanks to both you and Joyce for sharing your feelings on this! Thanks Polly. It feels like this resonates with many of us. Thank you for starting the conversation in the first place and for so generously sharing. When we only dialogue about what is going well or amazing things we can/are doing, we leave a lot of deeper conversation on the shelf. Thanks for always being willing to have those conversations.